In 1915, the Allies attacked the Ottoman Empire in what became known as the Battle of Gallipoli (or, to the Turks, the Battle of Canakkale). It started out as an attempt by Allied naval forces trying to force their way up the Dardanelles and ultimately to Constantinople. The British and French assembled the largest naval force the region had ever seen, but, just as it appeared the Allies would succeed, the actions of a single Turkish mine-layer called Nusret (also spelled Nusrat) halted the armada. 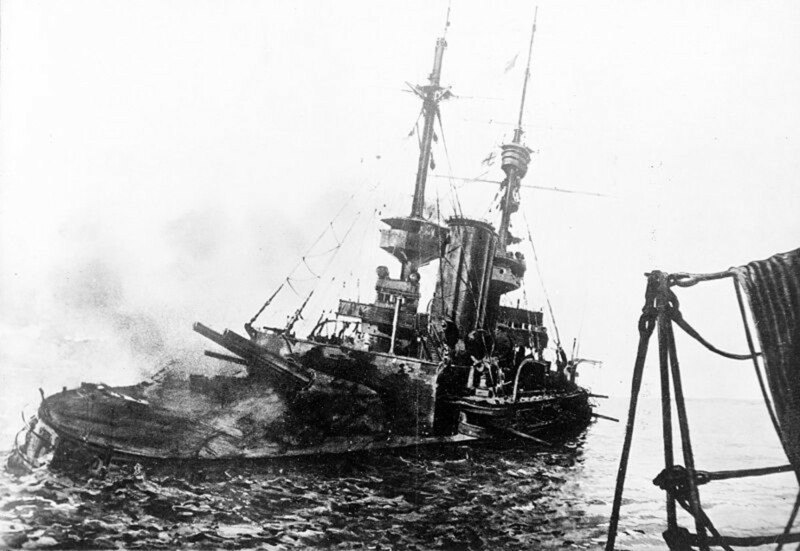 After the naval failure, Allied soldiers were landed on the Gallipoli peninsula. When the Allies finally withdrew in January 1916, the total casualties of both sides numbered around 475,000. By 1915, the Western Front in France had stagnated into a war of attrition with both sides dug in. This stalemate caused the Allies to look elsewhere for a breakthrough. One of the options was to attack the Ottoman Empire's capital of Constantinople (modern day Istanbul). This would open up a supply route to Russia and probably knock Turkey out of the war. 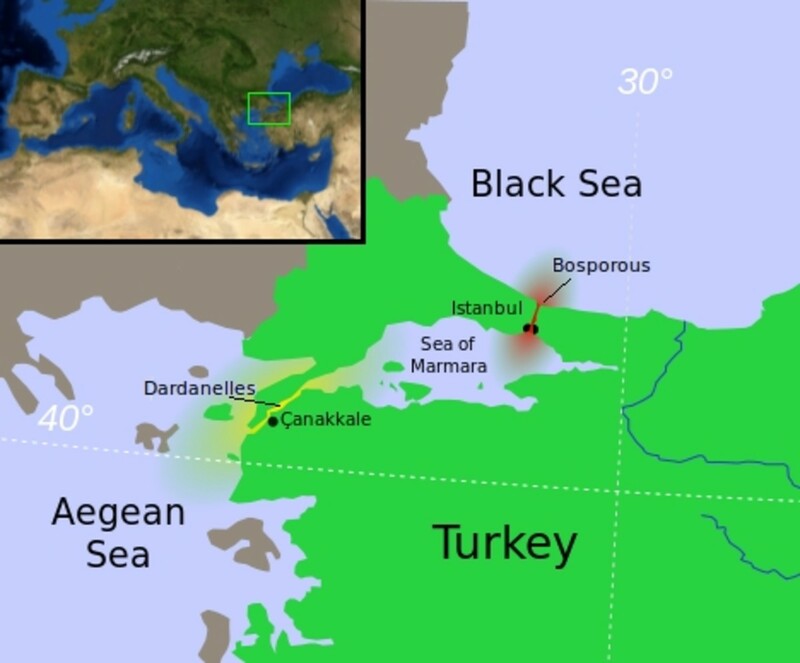 But first, they would have to control the narrow strip of water connecting the Aegean Sea with the Sea of Marmara, called the Dardanelles, which was heavily fortified and mined against just such an attack. British Admiral Carden, at First Lord of the Admiralty Winston Churchill's request, put together an all-navy solution which the British War Cabinet approved. The Allies gathered a massive armada of 18 battleships, mostly British, but also French, with supporting cruisers, destroyers and minesweepers. Heavy losses were anticipated, but it was felt that the prize was well worth the risk. For that reason, most of the battleships were older, pre-dreadnoughts, whose shortcomings against enemy ships would not matter in this case. 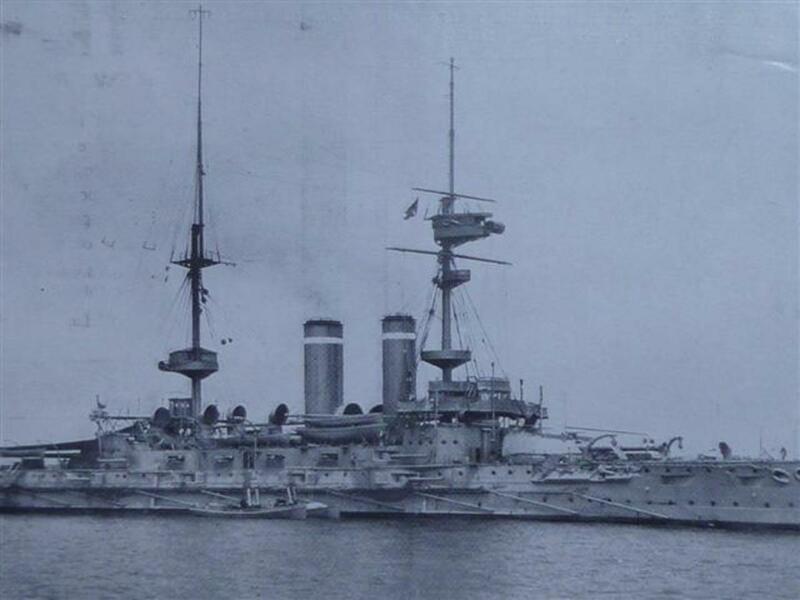 Admiral Carden's flagship, however, was the brand new super-dreadnought HMS Queen Elizabeth. Its eight massive 15-inch guns could handle any fortress guns the Turks had in place. On February 19, 1915, the fleet started hammering the Turkish forts and mobile artillery near the entrance to the straits. By early March, the Allies basically controlled the lower part of the Dardanelles-- the minesweepers sweeping for mines and the battleships neutralizing the forts and field artillery on both sides. Ahead lay the Narrows, protected by more forts and belts of mines strung across the way. The decisive push past the Narrows was set for March 18. The Turks knew they were in trouble. Undermanned, out-gunned and low on ammunition, their prospects were grim. 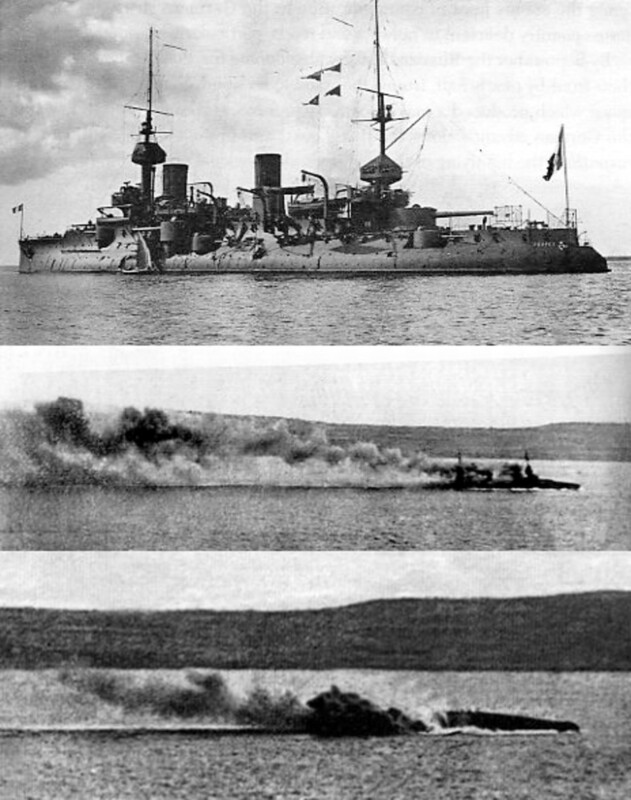 But, during the Allied maneuvers, as they reduced the Turkish artillery in the lower Dardanelles, the Turks and their German observers had noted that the British and French battleships would advance in three columns and, as the lead ships finished their bombardment, they turned to the right and retired to the rear, allowing the next battleships in line to take over. A Turkish colonel contacted Captain Hakki Bey, commander of the Turkish mine-layer Nusret with a desperate plan. Despite having suffered a heart attack only days earlier, Hakki Bey agreed to the dangerous assignment. 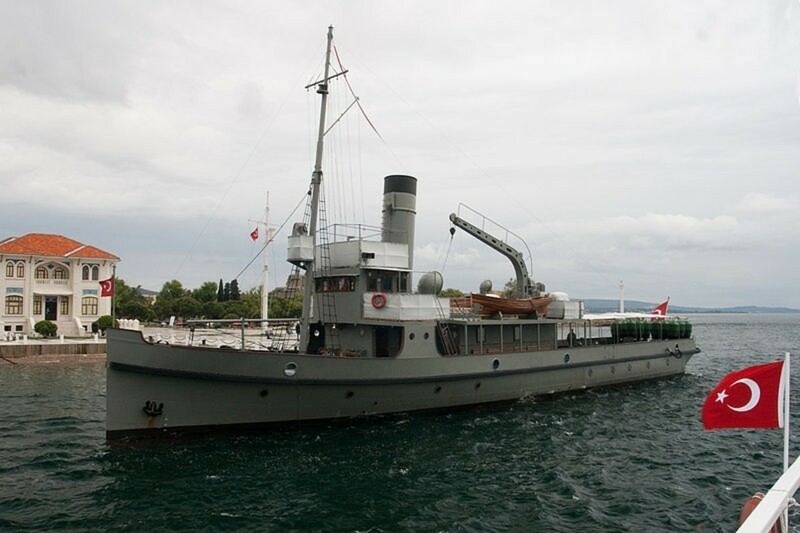 In an earlier episode, the 250-ton Nusret, armed with two 47-mm and two 57-mm quick-firing guns, and a gunboat had sunk the French submarine Saphir when it had attempted to break through the Dardanelles to the Sea of Marmara in January. On March 8, under cover of darkness and without any lights, Nusret slipped past the Narrows down into what were then essentially Allied waters. On board, it carried 26 mines-- all the mines the Turks had left. While British boats patrolled the area, their searchlights stabbing out, Nusret quietly and methodically laid its mines every hundred yards or so. But, instead of laying them across the strait, she lay them parallel to the shore, well away from the center of the channel where the Allied ships advanced. Having finished laying all 26 mines, Nusret, headed back up to the Narrows and safety. When the small ship docked, it was discovered that Captain Hakki Bey had suffered another heart attack and was dead. On March 18, the Allied armada entered the straits one more time, minesweepers leading the way to clear any mines ahead of them. Their flanks were not swept. Admiral Carden, suffering from “nerves”, had been replaced two days earlier by Admiral de Robeck, a less enthusiastic supporter of the enterprise. The battleships fired on the Turkish positions. By 2:00 PM, Turkish fire had dropped substantially. Soon the Narrows would be in range. The French battleship Bouvet pulled out of line to let those behind her take up the barrage and headed right into one of Nusret's mines. It exploded and she almost immediately capsized, sinking within two minutes and taking 640 of the crew with her. De Robeck suspected a torpedo or perhaps a lucky hit from a Turkish canon. When the battleships HMS Irresistible and HMS Ocean pulled out of line and explosions rocked them as well, it was obvious that mines were the culprits. De Robeck assumed the Turks were floating mines down the Dardanelles and ordered the fleet to turn back. In the confusion, the battle cruiser HMS Inflexible struck another mine and was badly damaged as was the French Battleship Gaulois. British Admiral de Robeck seemed more concerned about his career than anything else. He need not have worried. By the time he retired in 1924, he was Commander-in-Chief of the Royal Navy's Atlantic Fleet. The Allies decided that taking the Dardanelles by naval forces alone was no longer feasible. On April 15, 1915, the first troops were landed on the Gallipoli peninsula, but the Turks had used the weeks to prepare for the expected invasion. By the time the Allies evacuated Gallipoli in late December and January of 1916, the British (including Australians and New Zealanders) and French had suffered 220,000 casualties out of 570,000 troops and, out of 315,000 troops, the Turks had 250,000 casualties. 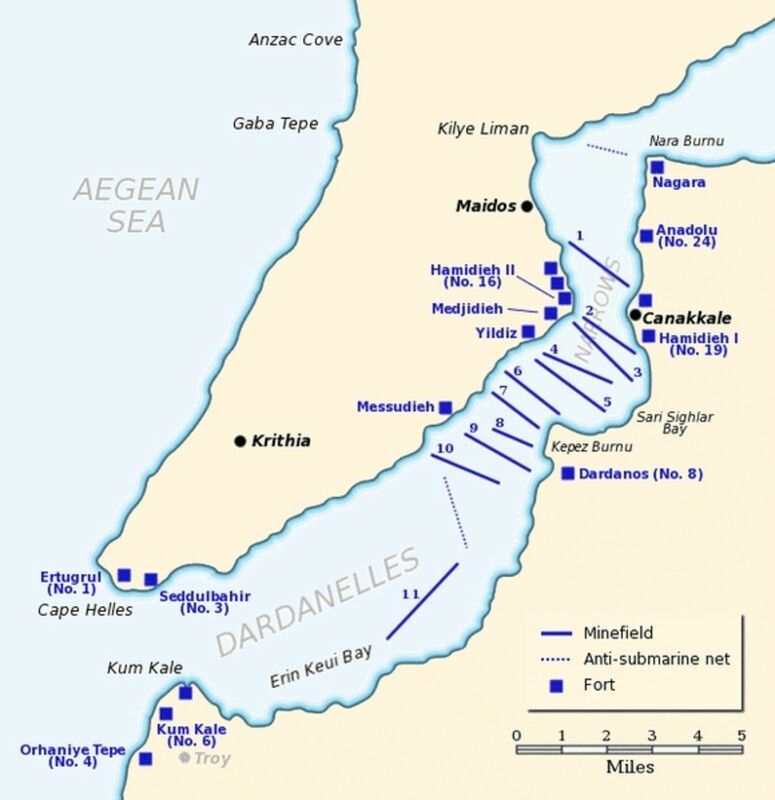 The Allied fleet had nearly succeeded in forcing the Dardanelles. They were prepared for the mines they knew straddled the straits ahead of them. The Turkish fortresses were out-ranged and out-gunned and low on high-caliber shells. Once beyond the Narrows, there was nothing-- no mines, no artillery-- that could stop the battleships. From there, they could cross the Sea of Marmara and bombard Constantinople, although that probably wouldn't have been necessary. As the fleet attacked on March 18, special trains were waiting to whisk the sultan and his followers away from the city and the two cruisers “given” by the Germans to the Turks prepared to sail away into the Black Sea. The Battle of Gallipoli was supposed to have been a walk-over. The Ottoman Empire was known as “the sick man of Europe”. The Allied defeat boosted Turkish spirits almost beyond measure. They had withstood attacks from the world's greatest navy and held off the best the British and French armies could muster. From the blood of Gallipoli rose the future leader of the Turkish nation, Mustafa Kemal Ataturk. So it is no wonder that the restored Nusret in the museum at Tarsus, Turkey is held by the Turkish people in the same high regard as the U.S.S. Constitution or the H.M.S. Victory and that Hakki Bey is a national hero. The Turkish Navy built a replica of the Nusret and visitors can see it by the shores of the Narrows where the original Nusret plied the waters all those years ago. Let us learn from the past, but not dwell on it. Get smart, be alert and move away from danger. Do not participate in war and violence. As individuals we have a choice. Well, both sides had major victories during the nearly 4 1/2 years of war and both sides had major defeats. In the end, the Central Powers lost and, officially, the Allied Powers won. Personally, I think America was the only country that came out of the war better off than it started, being the only major power left not decimated by war and debt. could you highlight as for why after the heroic victory at Gallipoli the turks were still defeated in war? Thanks, Gary. That's true, but I didn't "mined" the effort it took as the subject grew in interest the more I researched. You win the pun challenge, however. Interesting read. I appreciate the great detail and the effort it must have taken to "mine" them. Two thumbs yup. Much appreciated, gill. I'm glad your grandfather lived through it. I picked up a 1914-1915 star medal years ago and researched the recipient. Turns out it belonged to Norman Alfred Hinchcliff, who had moved to Australia from Britain and enlisted in the A.I.F. (Australian Imperial Force) when the war broke out. He died on the beaches of Gallipoli. Thanks for taking the time to read and comment. 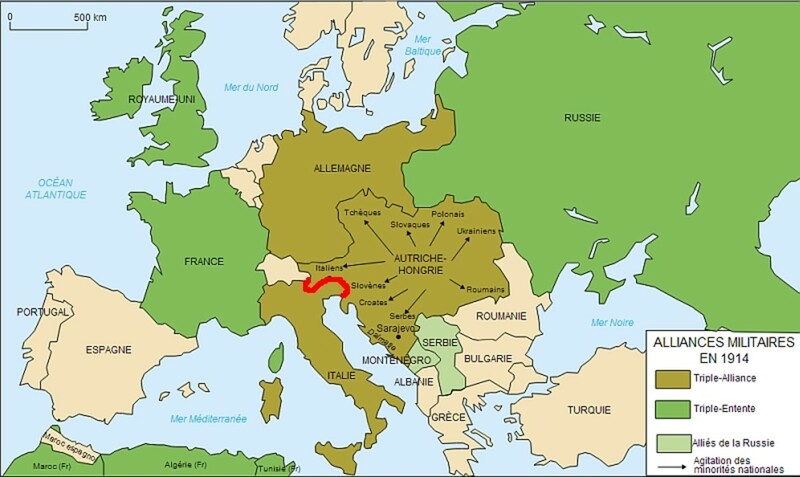 Thanks for the information on this part of ww1. My grandfather was injured at Gallipoli. We only had snippets of where & when he was injured. The one thing he did leave us was a diary of his time on the troopship HMS Mars and a fact that none of them knew where they were going until orders stared coming through. He was a Sgt in the royal engineers. He did mention that on Friday 8.10.15 the artillery's and A.S.C's go orders to move at 12 noon to cape Helles. 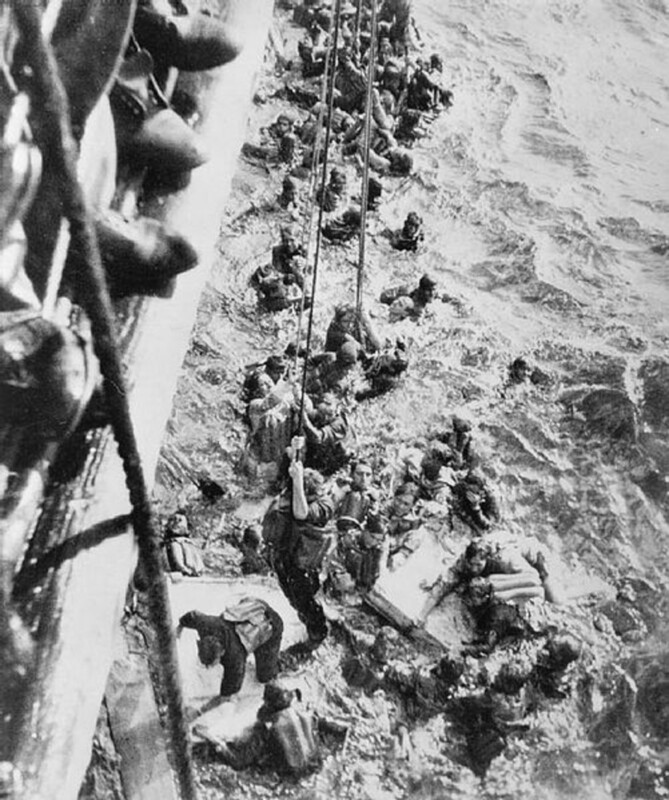 It took till 1.30 for the transfer to another troopship and to be on there way. Thanks, lions44. I've always wondered about battleships forcing narrow waters-- but the Germans also did this in Norway's fjords in WW2. The attack towards Oslo in 1940 also spelled disaster for them. Since I signed for Hub Pages, I have continued to learn so many new tidbits on World War I and II. Great stuff. Love the video. Keep up the good work. Now you've definitely tweaked my interest in WW1, and Gallipoli in particular. It seems incredible that generals could throw away men's lives in such a callous manner. The British admirals also should have been sacked for their incompetence. Thanks much, Kieran. On a side note, as you probably know, First Lord of the Admiralty Winston Churchill, an enthusiastic supporter of the strategy, was left holding the bag on the whole Gallipoli disaster and went to fight in the trenches. He was later cleared by Parliament. The entire War cabinet and generals and admirals all had their fingers in the pie. I understand that War Secretary Kitchener had promised a division of very experienced troops to support the naval attack but withheld them after he felt Winston had snubbed him on a subsequent occasion. Good to read about the naval part of this tragic (from the Allies point of view) episode. 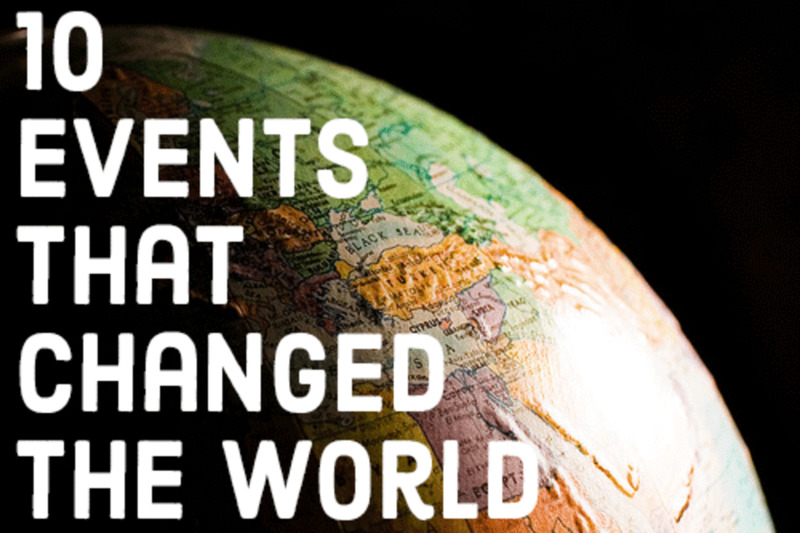 I previously knew nothing about it, so thank you for bringing us another fascinating slice of history. Please keep up this 'labor of love'! Hi joan. I don't think a lot of people are aware of the initial naval phase. It became totally eclipsed by the slaughter of the Allied troops during the rest of 1915. Perhaps like WW2 sort of blocks WW1 in history. Thanks for commenting and sharing. Hi David, another fantastic read! And for once, about something I knew very little. WooHoo, I acquired fresh knowledge! 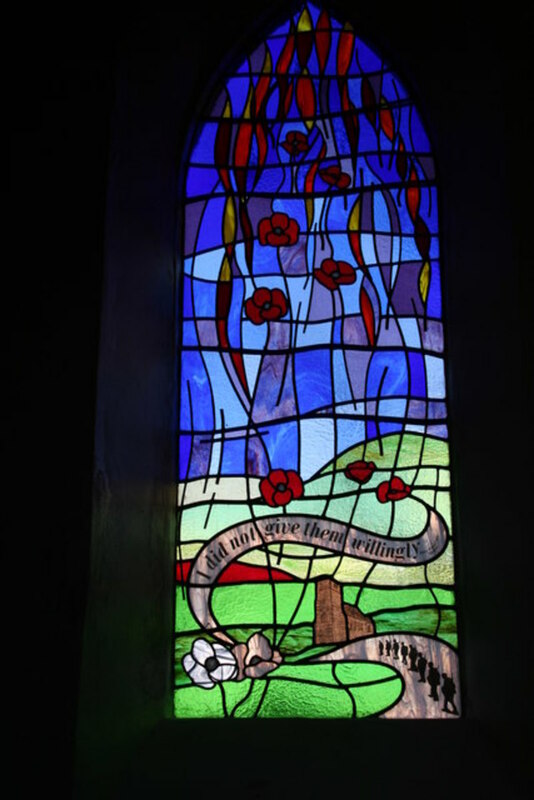 My grandmother was always very strong on Gallipoli, I remember the word was always uttered with special reverence in my home. But I heard more about the role of the army than that of the navy. Why this should have been so, I have no idea! Voted up, awesome and interesting! I'll be around, I'm still trying to catch up! You're welcome, Steve. It was every bit, and in some ways, worse than the fighting in France-- for both sides. Another expert war story. I've heard of Gallipoli, from the movie, but did not realise it was such a major battle with great loss of life. Thanks for a good read David. Thanks, Vik. I had to corroborate a lot of sources on this one, even including a couple books. I knew the basics, but I hadn't heard of the Nusret's role. I'm glad it paid off. Nice account of one of the more interesting and little-known actions of the war. Well-researched. Hi Pavlo. Thanks for your comment. I always enjoy hearing your perspective on things. If we don't respect the enemy's capabilities (no matter what we think of them), they will surprise us. There are so many "sides" to the wars that are unknown to many. I think there are lessons to be learned from WW1 that would still apply today. Thanks for commenting, Mhatter99. While WW2 was worse overall, in WW1 the British lost nearly 3 X those killied in WW2, which explains why WW1 is so much still a part of the nation's psyche. Also, Galipoli was where the Australians and New Zealanders were blooded. I understand that April 25, ANZAC day, commemorating their landing at Galipoli, is still their biggest remembrance day. 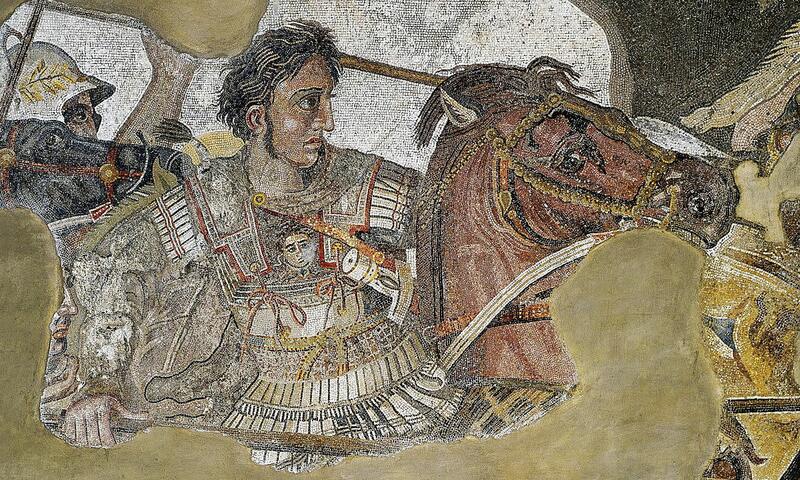 Ukraine had many wars with Turkish Empire in a different periods of history. Their army was always an army of real fighters. They just had too many wars... If the Turkey had more powerful fleet the victory could turn into an other side. Great hub! Thank you for this historical account. Talk about wasted lives.